The best part about an Australian Christmas is being able to have it outdoors. It can make the day a lot less formal and if you want you can cook your turkey outdoors in the barbecue and save creating a lot of mess indoors. Protect yourself and your guests from the sun by setting your table up under the veranda or retractable awning and choose a menu that is either traditional or suits the Australian climate. If you are going to eat indoors keep your home cooler by opening the doors and windows. You can keep the insects out by having proper security screens on your windows. Whatever the occasions, it helps to be organised and plan your menu well in advance. Supermarkets can sell out of ingredients, such as dried fruit for Christmas puddings, so make sure you shop for non-perishable items in advance. 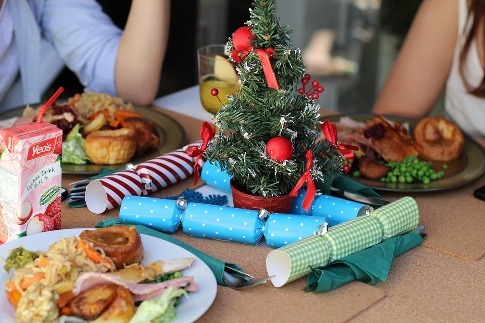 Know exactly what it is you have to prepare and what dishes can be cooked in a few weeks or days earlier, such as the Christmas pudding and Christmas cake. Know what foods you need to buy the day before and work out what food you will need to order. To get the best turkey you should order it early from your butcher. Christmas only comes once a year, so don't just settle for a frozen one from the supermarket. If you like to have seafood on Christmas day you will find that you need to pre-order this as well if you are planning on having it freshly caught. This year throw away those paper napkins with Father Christmas on them and be a little more creative with your decorations. Instead of the traditional red and green perhaps choose a different colour scheme. Silver or gold look great on your Christmas table and tree or go for something like a pale blue or even pink theme. Keep decorations on your tree simply by having the one colour theme, with perhaps a hint of a secondary colour. Decorate your table with individual gifts wrapped in coloured ribbon, instead of having the usual Christmas crackers online shopping. Have a collection of candles of different sizes or use fresh flowers placed in teacups. Cover chairs with white material and have a coloured ribbon tied around them with a big bow at the back. Sprinkle Christmas tinsel across the table or use rose petals instead. Some families like to have a traditional and more formal Christmas lunch. For this type of meal eating indoors is likely to be more appropriate. If you like spending Christmas day just relaxing and having a few drinks with the family a more informal barbecue outdoors could be more your style. There is no right or wrong way to celebrate Christmas, just as long as everyone is together having a good day. You need to decide before the day what the protocol is for gift giving. Your family may go all out and buy gifts for everyone or just have Kris Kringle, with each family member getting one gift. You might choose to do Kris Kringle, but exclude any children, with kids receiving gifts from everyone else. know what? i'm so excited about the gift-giving part. i love preparing gifts especially for kids!